When the guys at XV Kings contacted me about becoming an ambassador I jumped at the opportunity. I had already got a couple of pieces from previous collections in the wardrobe and eagerly anticipated seeing the new collection. Mens fashion is under appreciated in Ireland but thanks to the likes of Tommy Bowe and Paul Galvin using their influence to spread the good word I certainly think the tide is turning. The package I received was extremely generous and gave me a perfect insight into this collection. 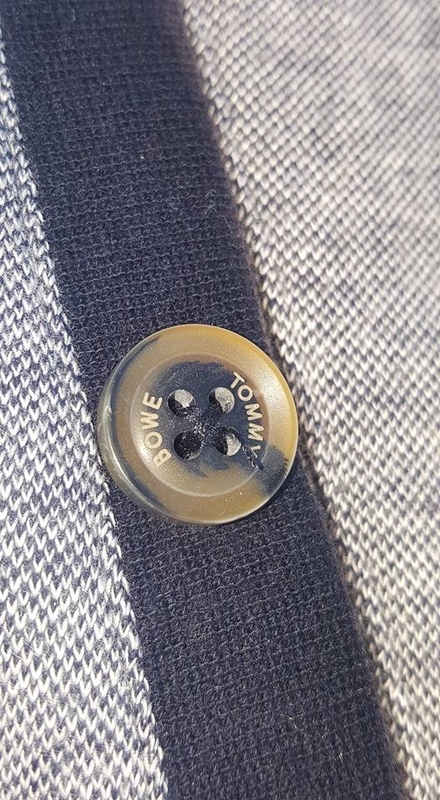 The quality of material is excellent and I just love the attention to detail, the branded buttons, Tommy’s signature, the little sayings on leather tabs. It’s the little touches that make this such a great collection. I love the hoody, and the Club de Rugby - Ice Fleck jacket is just class. The t-shirts are a great fit, very modern and stylish, ideal for the weather we have been enjoying lately. As a sartorial icon I am well used to receiving fashion compliments but no word of a lie I have never been complimented on a shirt as often as the Santa Fe – Sky shirt I wore out last weekend. It’s a very light, beautifully designed piece, which works well worn in a myriad of ways. The Llyod and Pryce shoes have been on the shelves of Ireland’s best shoe shops for a number of years. These bad boys are stylish and comfortable the dream combination.